Discussion in 'SWNN News Feed' started by SWNN Probe, Jan 25, 2019. Exciting news for comic fans this week: StarWars.com announced a limited, five-issue Marvel series that will take place at the Black Spire Outpost on Batuu, the location of Disney Parks anticipated Galaxy's Edge additions this year. 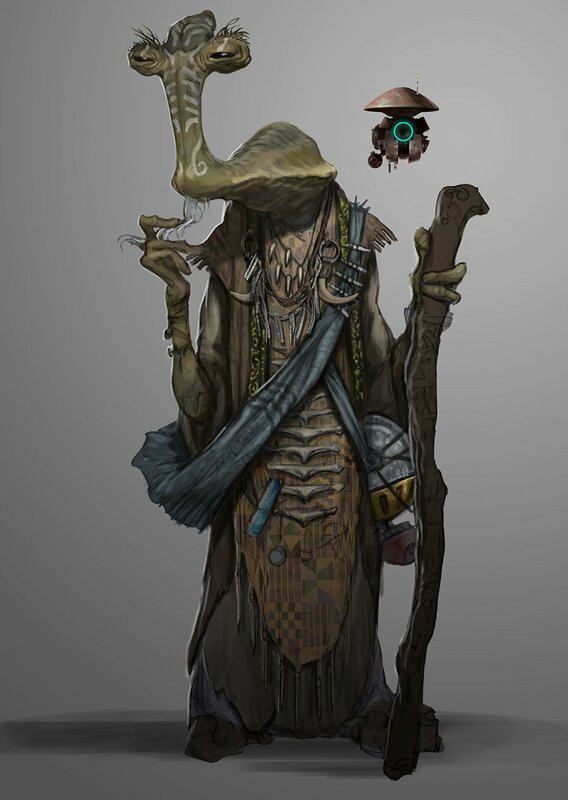 Batuu has popped up a few times over the last year in Star Wars content, but from the sounds of it, this series will cover a few different eras of the distant planet and we will see it through the eyes of Ithorian antique collector Dok-Ondar. 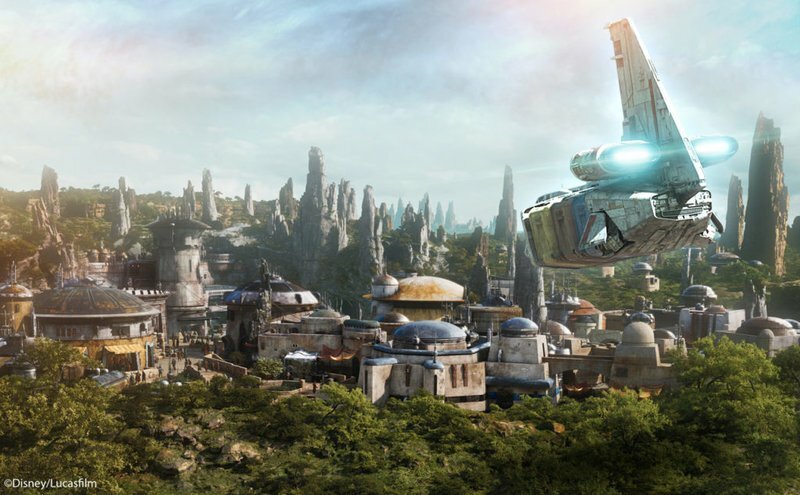 Disney certainly seems keen to get fans primed for Galaxy's Edge. Batuu and the Black Spire Outpost played a large role in this past summer's Thrawn: Alliances and it looks like that was just the beginning of the story. The announcement of a five-issue comics series will give fans the opportunity to walk into the new Disneyland and Disneyworld additions with a little bit of history. As it's been reported the new addition will be fully immersive for fans, it will be interesting to see if elements of these stories carry over to the actual experience. Our series will give fans the chance to visit Black Spire Outpost months ahead of voyaging to Batuu in person. Armed with top-secret sketches and information from Walt Disney Imagineering and Lucasfilm, we are keeping this authentic to the spirit of this rich new setting. The series will follow Dok-Andor and the stories behind many of his rare antiques. Sacks mentions there are many 'intertwined' stories in this five-issue series. The publisher's summary hints that the arrival of the First Order on Batuu puts Black Spire Outpost's existence in jeopardy, setting the events of this comic series in motion. At least one of the stories will feature a mission with Han Solo and Chewbacca – and it's hinted that mission is what may save Black Spire Outpost. In case you haven't followed the development of Batuu, it is a planet considered the last stop between Wild Space and the Unknown Regions where the First Order emerged from. The Unknown Regions is also a Star Wars location (or locations) that seems to be getting ready to be a bigger part of future stories as we all prepare for a post-Episode IX universe. Check out the variant cover of the first issue! Star Wars: Galaxy's Edge #1 will be released April 24, 2019. The series is written by Ethan Sacks and features art by Will Sliney. Sacks recently published his first Star Wars story about Mace Windu in the Age of Republic, which we recently reviewed. Sliney contributed some great artwork to the one-off Beckett issue, so it looks like Marvel brought a great pair together for this series. I'm excited to learn more about Batuu. I'd be very surprised if Batuu isn't in IX or at least mentioned. Congrats on the new comic line.